This was a recommended book many years ago that I recently re-read and want to emphasize again. This is an outstanding book that is on everyone’s list of most important books of the 20th century. 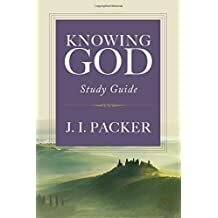 And Packer is certainly among the top theologians for that time. Knowing God is a wonderful mix of theology and devotion. It clearly and carefully reflects what the Bible teaches about God, but also leads us to explore and enjoy a relationship with God. All chapters are excellent. The one on “adoption” is particularly insightful and stirring. Highly recommended.